Hi I’m Dave and I’m a Web Designer & Developer at BaseKit. I also created Anchor Themes and Anchor Showcase, where people submit their themes and sites that use Anchor CMS. Hi, I’m Dave and I manage Anchor Themes, a site showcasing themes and sites that use Anchor CMS. In this article I’m going to run through what Anchor is and why you might want to use it for your next web project. What is this tasty bit of kit? 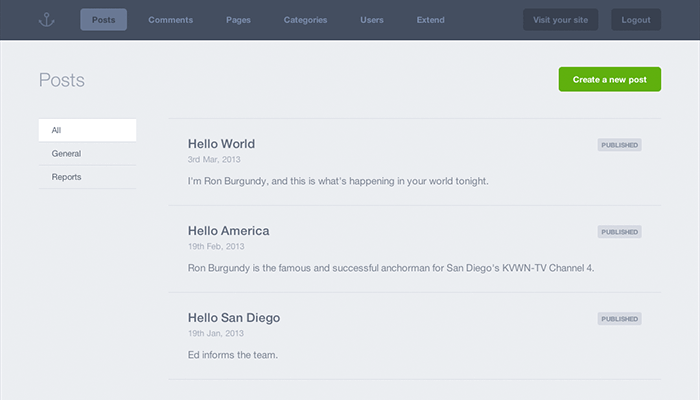 Anchor is a lightweight CMS designed to be simple but effective. It was originally created by the mysterious web designer & developer Visual Idiot. It was born out of his frustration with current CMS platforms. They either had a complicated admin interface, a bloated codebase, or in some cases both. 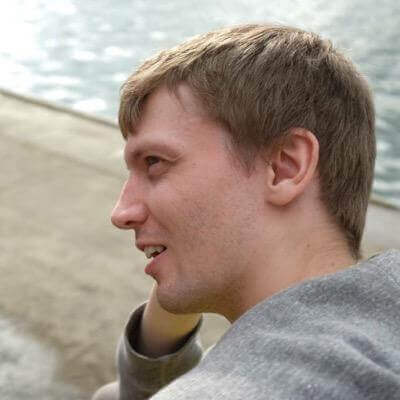 Anchor is now mainly developed by Kieron Wilson, with Idiot covering the front-end design and development. Because of this regular development to the core, and the way it welcomes contributions, the user base is growing at a quite a rate. At the time of writing this over 5000 people are using Anchor for blogging and site management. The two most important key features about Anchor is its simplicity and its file size. Anchor is simple not only for the user but also the developer. 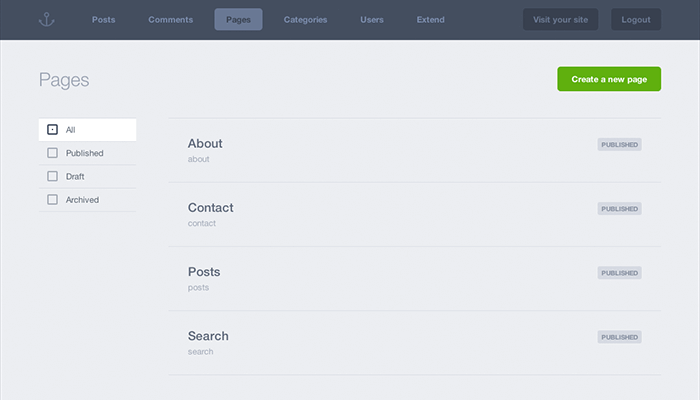 Other CMS platforms try to provide the user with too many options, Anchor only gives the controls they actually need. By doing this the user is not bombarded with complicated options and settings, yet still provides free reign on their site content. The simple aspect even runs through to the developer, creating a theme for Anchor is just as easy (if not, easier) as making a theme for any other CMS. This simple design is reflected in the file size, weighing in at under 500kb its about the same size a jpeg. Because of this Anchor is also lightning fast, pages load instantly. All these aspects form system that small yet solid in construction. My initial perception of Anchor was of interest but scepticism at the same time. I was thinking probably what you’re thinking right now, “why would I want to use this over any other platform?” I’ve been using WordPress as my go to platform for the last couple of years and had never questioned if it was right for the job. After version 0.8 of Anchor was released I decided to take the plunge and find out what all the fuss was about. I took down a copy from GitHub and installed it on my computer. The first thing that caught my eye was the admin interface. It was minimal and a refreshing change to what I had been using before. When I tried creating a post I noticed that Anchor uses markdown instead of editor buttons. Markdown is basically html shorthand, designed to help bloggers write online articles using plain text. Using this instead of inline text editor keeps the code clean but still gives the user the controls they need. I also had a go at making a basic theme with it. It was so easy I questioned if I had missed anything, “surely it can’t be this easy?” I thought. To my surprise it was, so easy that I was able to use it on a client project soon afterwards. Anchor CMS is suited for small sites and blogs. Installing Anchor on your own server doesn’t require much knowledge. The official Anchor CMS website provides installation instructions. However if you get stuck Eric Gould has written a more detailed Walkthrough of the installation process. All you need to do is upload a copy of it to your server, visit it in your web browser and follow the installation instructions. Maybe you’re a front-end developer and you need to make a site for a local business? Maybe a friends band would like a site to promote their upcoming gigs. Or maybe you want to start a blog with some pages to explain it? Anchor would be the perfect tool for all of these scenarios. 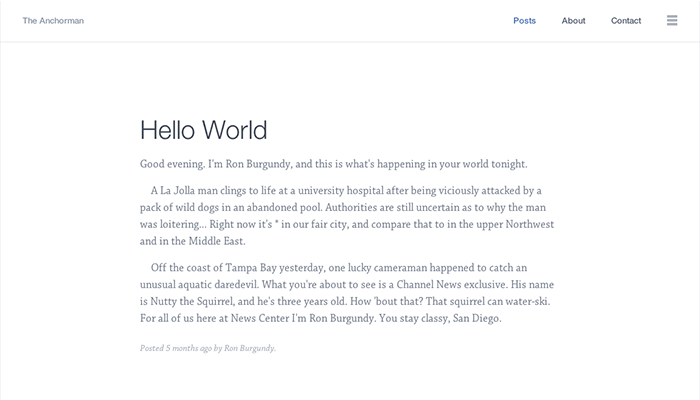 Of course, I’ve been working with Anchor for a while now and I’m obviously going to say its a great CMS. What you need to ask is, “is right for my next project?” The best way to find out is to try it out for yourself like I did, just download it from their official site and you’re off! There’s also plenty of resources, such as Anchor Themes, as well as a demo of the admin area (the login details can be found in the forum). If you get stuck take a look at the documentation or post a question on the official Anchor Forum. 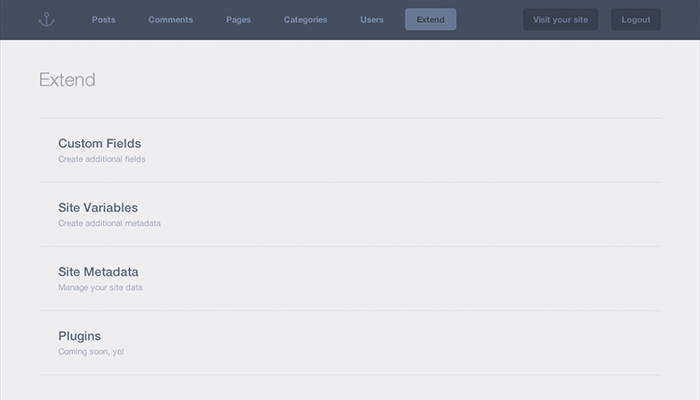 There is also an expanding community of developers, creating themes and now plugins for Anchor CMS. They are all very friendly people, you can find them contributing on GitHub and tweeting on Twitter. At the time of writing this Anchor CMS is currently at version 0.9, but development has reached 1.0. The features in that are in development are really exciting, and they are all aimed to help the end user & developer. If you’re feeling like a daredevil, try out the development version from GitHub.